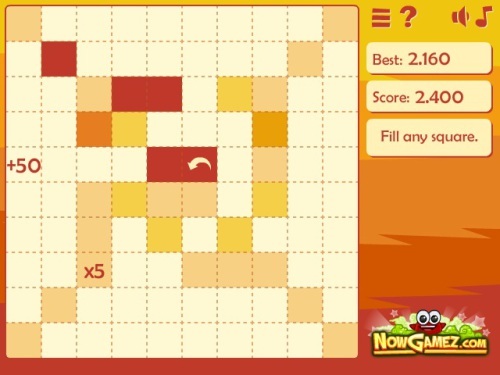 Description Hundred is a new puzzeling game presented bij NowGamez. In a square of 10 by 10 blocks you have to choose the square you start to fill the field with. Paint out the shape of squares making an L-shaped move (like the horse does in the game of chess). You can complete the level by painting all of the colored shapes. Every level has his difficulty.